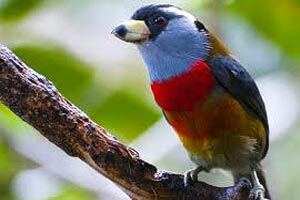 Explore the Cloud Forest Biodiversity at Bellavista Reserve . . .
Great food at the lodge restaurant! The course finishes on Friday after classes, and you can either return to Quito with your teacher or explore some of the small towns and other available activities in the area. The mission of Bellavista is to create a space for active conservation of the cloud forest, as well as providing educational recreation and a space for contemplation for visitors from all over the world and for all ages. The reserve includes its own research station. There are many trails through the reserve allowing guests to explore on their own or with a guide the amazing biodiversity of this unique area.